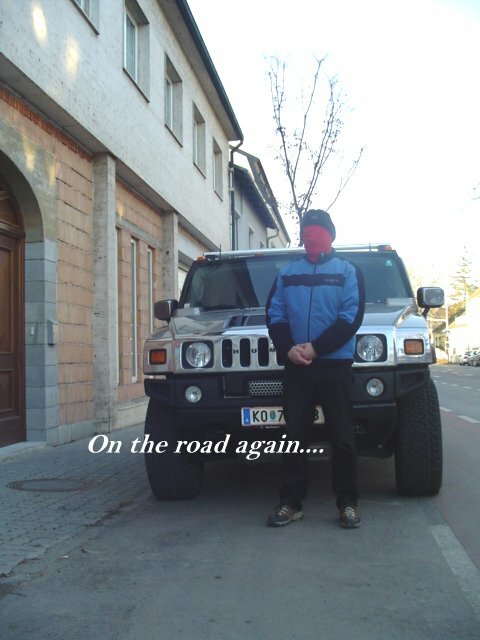 During a safety inspection of strongrooms Viennese locksmith Michael Bübl made the safety sector snookered. 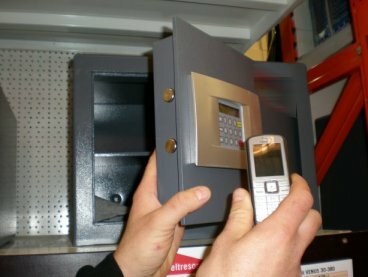 He opened several safes within minutes just by using his mobile phone combined with a certain combination of numbers of the safe's keyboard. He used a commercially available mobile phone. Hacking the saves is possible due to the immense radiance of the mobile devices and a vulnerability in the coding of the security container. 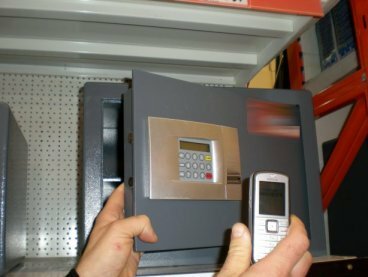 Representatives of the security sector were amazed when they observed the specialist dialling a number on his mobile phone, putting the device close to the lock of the strongroom and the door opened within not even a minute. After demonstration the representatives skipped the room right away not willing to give any statements. "In my sector rumor says about this vulnerability. I invented that trick a little bit by accident." Actuarially strongrooms always have been a problem due to the possibility of a factory-made general code. Even the newly discovered sensitivity to radiance don't make them more secure, either. Jedes Ziel in Europa ist mühelos zu erreichen. 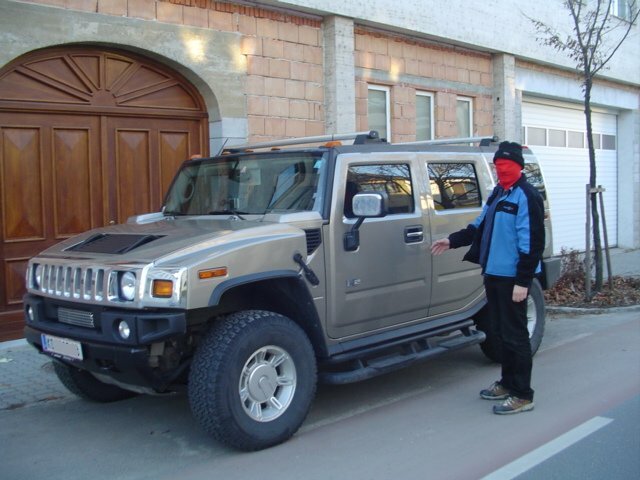 Hummer H2 is a good guy and friend for the Specialist and has a lot of space for locksmith tools and cracking tools. Michael Bübl has a new order. 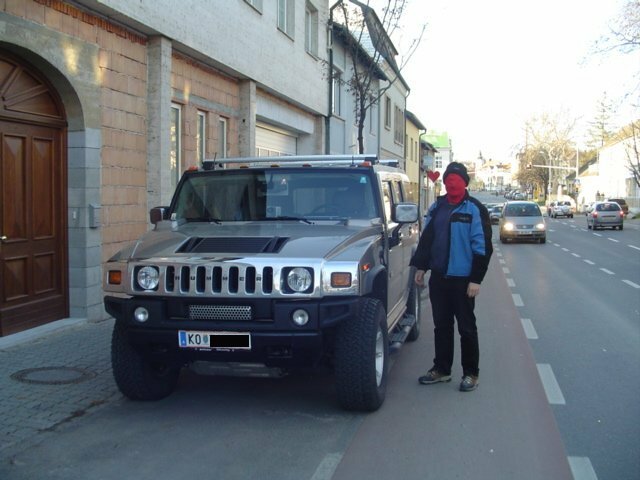 Mit dem neuen Hummer H2 ist die Fahrt ein Vergnügen. 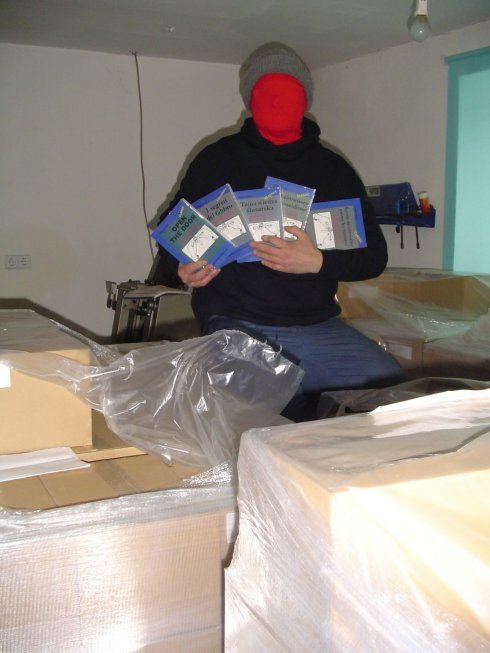 The Author at the sale of his books, the Suburb or Ernstbrunn(near Vienna)!